The roseate tern (Sterna dougallii) belongs to the family of gulls and terns, the Laridae. The roseate tern species is distributed in coastal Americas, Europe, Africa, India, Southeast Asia, China and Australia. 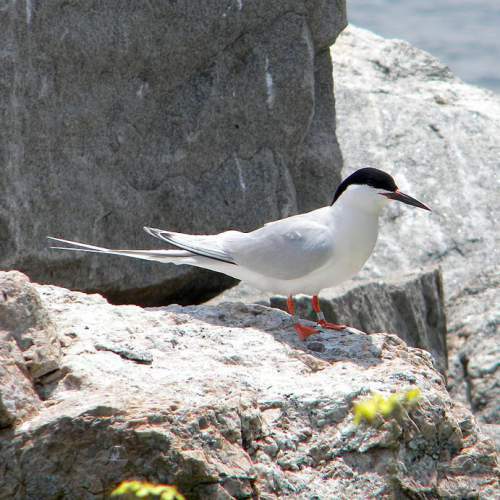 These tern species feed primarily in open waters, over sand shoals and along reef margins. These terns are polytypic species. The roseate tern (Sterna dougallii) is a medium-sized tern, measuring 30 to 40 cm in length and weighing 90 to 130 grams. The wingspan is 70 to 80 cm. The overall plumage of roseate tern is whitish. The wings are pale gray. The forehead, crown and nape are black. The underparts are white. In breeding birds, the breast and belly take on the pinkish tinge. There have long white tail streamers. The bill is long and sharp. It is black in breeders and orange in non-breeders. The irises are blackish. The legs and feet are orange-red. The call of these tern species is a soft "chuwit" or a louder "cheew" sound. 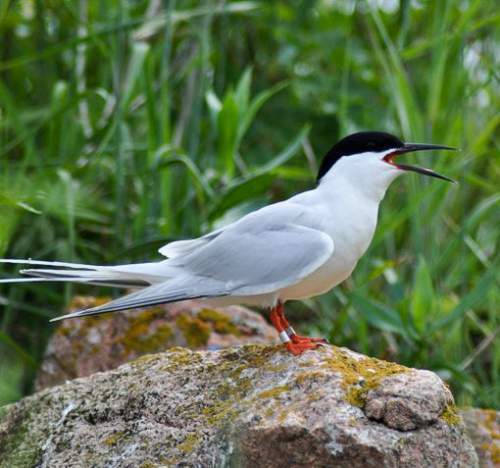 Migratory breeding populations of roseate terns are distributed in the coasts and offshore islands of Canada, USA, Caribbean, western Europe, Oman, Sri Lanka, India (Maharashtra), Maldives, southeast China, Taiwan and west coast of Australia. The wintering populations of roseate terns are distributed in the coasts, offshore islands and seas of northeast South America, western Africa, South Africa, eastern Africa, Madagascar, southeast Asia, Andaman and Nicobar Islands (India), Papua New Guinea and northern Australian coast. Breeding resident populations of the roseate tern species are distributed in Somalia, Kenya, Tanzania, Madagascar and nearby islands, Andaman and Nicobar Islands (India), southeast Asian islands, Solomon Islands, New Caledonia, Vanuatu and north coast of Australia. 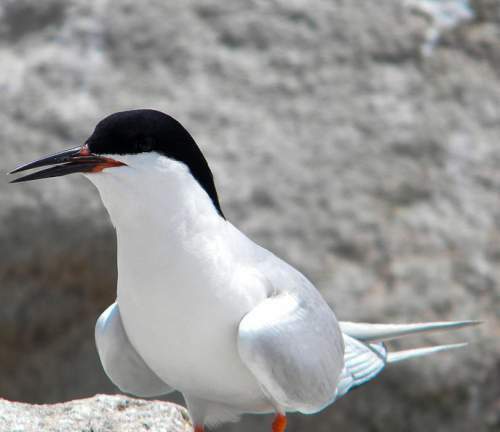 Some of the Important Bird and Biodiversity Areas (IBA) of these roseate terns in Australia are, Swain Reefs, Bountiful Islands, Sunday Island, Haul Round Island, Sandy Island, Higginson Island, Pearce, Urquhart and Hervey Islands, Houtman Abrolhos and Lacepede Islands. The IBA of these roseate terns in China are, Dongtou Islands, Zhongjieshan Islands, Jiushan Islands Nature Reserve, Wuyu Dao Island and Taizhou Islands. The IBA in France are Iles de la Colombière, de la Nellière et des Haches, Ile de Goulmedec, Cap Gris-nez and Baies de Morlaix. These roseate tern species do not normally occur in forests. They normally occur in altitudes from 0 to 18 meters. The natural ecosystems and habitats of these roseate tern species include, offshore islands, sea cliffs, coral reefs, shallow sea with macroalgal growth, open seas, subtidal shorelines, estuaries, marshes, mudflats, marine lakes and lagoons. The diet of this roseate tern consists mainly of small pelagic fish (sandeel, dwarf herrings, sardines and anchovies). Small fish, crustaceans, worms, insects, and aquatic insects are their primary food. These roseate terns catch their prey by plunge-diving. They feed in areas of tide rips and upwelling. They take advantage of predatory fish driving shoals of prey fish to the surface. They usually dive directly, without hovering. The breeding season of these roseate tern species is during April in India, Australia and Sri Lanka. The laying season is during May and June in USA and Europe. These species are monogamous and territorial. 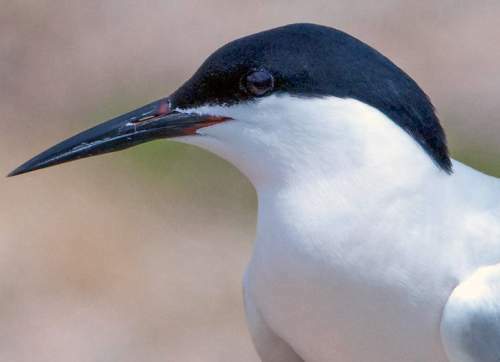 The nesting sites of the roseate terns include sand-dunes, sand-spits, shingle beaches and coral islands with sparse vegetation in tropics and densely vegetated sites in temperate regions. The nest of the roseate tern is a shallow scrape on bare ground or vegetation. The clutch contains two pale buff eggs with pale gray and brown blotches. The chicks are fed with dwarf herrings and sardines. These roseate tern species are partially migratory birds. The breeding populations in North America (S. d. dougallii) migrate to the Caribbean for wintering. The European populations migrate to western Africa. The roseate tern breeders from India, east African coast and Oman migrate to Madagascar and the seas around it. The breeding populations in China, southeast Asia and Australia move to southeast Asian seas for wintering. The global population size of the roseate tern (Sterna dougallii) is estimated to number about 200,000 to 220,000 individual birds. The overall population trend of the species is uncertain as there are fluctuating trends. In most of its range, this tern species is reported to be locally common to uncommon. The generation length is 10.2 years. Its distribution size is about 184,000,000 sq.km. Habitat alteration and destruction, climate change, severe weather, hunting, trapping of adults and juveniles and egg collection are the main threats that are endangering the survival of these tern species. The roseate tern (Sterna dougallii) does not approach the thresholds for being Vulnerable, either under the range size criterion, or under the population trend criterion or under the population size criterion. The CITES (Convention on International Trade in Endangered Species of Wild Fauna and Flora) status is ‘Not Evaluated’ for the roseate tern (Sterna dougallii). The roseate tern (Sterna dougallii) is closely related to the Arctic tern (Sterna paradisaea), South American tern (Sterna hirundinacea), common tern (Sterna hirundo) and the Antarctic tern (Sterna vittata). The two recognized subspecies of Sterna dougallii are: Sterna dougallii dougallii Montagu, 1813 and Sterna dougallii gracilis Gould, 1845. Current topic in Birds of India: Roseate tern - Sterna dougallii.